Responding to a PIL for more autonomy and independence to the Election Commission of India, the Commission has told the Supreme Court that it has been sending the proposal to the Centre for amendments to this effect since 1998 and seeking that the rule-making power, which as present rests with the Centre, be given to it. The ECI said so in an affidavit filed in response to a PIL moved by an advocate and activist Ashwini Kumar Upadhyay pressing for the need to strengthen ECI by conferring rule-making authority on it on the lines of the rule-making authority vested in the Supreme Court of India to empower it to make election-related rules and code of conduct. Upadhyay has, in his petition, also urged that an independent secretariat be provided to ECI and its expenditure be charged on the consolidated fund of India on the lines of the Lok Sabha/Rajya Sabha secretariat. Besides, he has sought similar protection to the Election Commissioners (EC) as the Chief Election Commissioner so that they shall not be removed from their office except in like manner and on like grounds as CEC. “The reason for giving protection to the CEC as enjoyed by the Judge of this Hon’ble Court in matters of removability from office is in order to ensure autonomy to the ECI from external pulls and pressure. However, the rationale behind not affording similar protection to ECs is not explicable. The element of independence sought to be achieved under the Constitution is not exclusively for an individual alone but for the institution. Hence, autonomy to the ECI can only be strengthened if the ECs are also provided with the similar protection as that of the CEC,” it said. On this aspect, the ECI said in its affidavit that it had been pressing for the rule-making authority to be conferred on itself on the lines of the SC to empower it to make election-related rules as well as the code of conduct. In this context, the ECI said it had sent a proposal in 1998 to the Centre stating that rule-making authority under the Representation of People Act should be conferred on ECI rather than on the Centre and the ECI should consult the Centre while framing any rules. The proposal was reiterated in year 2016 on the ground that “since the Centre is not bound to accept the views and recommendations of the Commission, there are instances when rules opposed to the specific recommendations of the Commission have been framed and on several occasions, rules framed or amended have not been in line with the recommendations of the ECI”. According to clause (5) of Article 324 of the Constitution, CEC enjoys the same protection as is available to a judge of the Supreme Court of India. However, both the election commissioners enjoy no such protection. The ECI said it had sent a proposal to the Centre in 1998 for an amendment to Article 324 in order to provide similar protection to the ECs. This proposal was reiterated in 2004 when the Commission sent a set of 22 proposals on electoral reforms which came to be placed for examination by the Chairman, Rajya Sabha. Proposal no. 12 referred to issue of independence of ECI and protection of election commissioners insofar as the issue of removal from office was concerned. Thereafter, the ECI had even written to the Prime Minister on January 22, 2010 inviting his attention to the long-pending recommendation and requested him to bestow his personal attendance to this matter. The ECI had issued another letter on April 13, 2012 to the Prime Minister pointing out the proposal for amendment of Article 324(5). It was followed by another set of 47 proposals sent to the Centre in December 2016 and it contained a proposal dealing with ‘Constitutional Protection for All members of ECI’ wherein it was said that the element of independence sought to be achieved under the Constitution is not exclusively for an individual alone and that the present constitutional guarantee is inadequate and requires amendment to provide same safeguard in matters of removability of Election Commissioners as is available to the Chief Election Commissioner. Even the Law Commission had in its 255th report on electoral reforms recommended Constitutional Protection to all members of ECI. 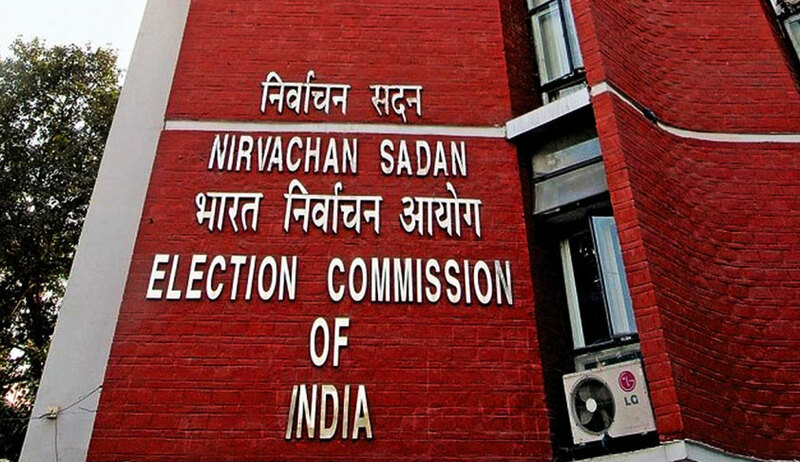 On ECI being charged on the Consolidated Fund of India on the lines of Lok Sabha/Rajya Sabha Secretariat, the ECI said the administrative expenditure of ECI is a voted expenditure. It said it had sent a proposal to the Centre in 1998 urging for early action to ensure an independent secretariat for ECI on the line of Lok Sabha Secretariat and also to ensure that it is charged on the Consolidated Fund of India. It is to be noted that the government had moved a Bill “The Election Commission (Charging of Expenses on the Consolidated Fund of India) Bill, 1994 in the 10th Lok Sabha which lapsed with the dissolution of the 10th Lok Sabha in 1996. In July, 2004, the ECI wrote to the government saying the Bill which had lapsed in 1996 needs reconsideration. The need was reiterated in 2012. With all prayers made in the petition already covered by the ECI in its proposals which it has been pressing on time and again, the Commission said in its affidavit that the prayers in the petition can only be granted by way of an amendment to the Constitution and thus, it is for the Centre to take appropriate steps in this regard.